Most of us never think about all the work that our teeth perform each and every day. 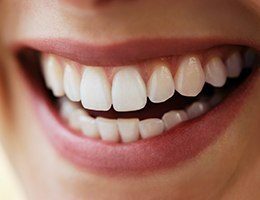 But think about it—your teeth allow you to enjoy the foods you love, speak clearly with family, friends and colleagues, and smile when you’re happy. Unfortunately, these hard workers are sometimes ignored. As a consequence, your smile may not be as attractive or healthy as it once was. Ann Arbor dentist Dr. Olsen and his team of dental hygienists and dental assistants can help. With a full-mouth reconstruction in Ann Arbor, we can combine several restorative and cosmetic dentistry treatments to repair and rebuild your teeth. Sometimes extensive dental damage requires multiple procedures to bring your mouth back to good health. While Dr. Olsen believes in conservative treatments that help you retain as much of your natural dental structure as possible, he understands complex cases and the need for full-mouth reconstruction. His extensive training at the Las Vegas Institute for Advanced Dental Studies allows him to complete these complex cases in just a few visits. The path to a new smile begins with a consultation and examination. 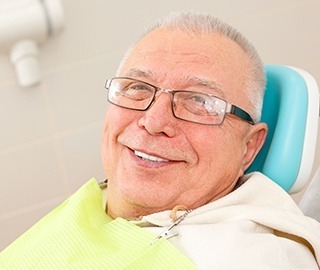 The information gathered during this appointment, along with photos, x-rays and impressions, help your Ann Arbor dentist develop a step-by-step plan to direct the transformation of your smile. Only those treatments needed to restore the health and beauty of your smile will be included in your full-mouth reconstruction. But, regardless of which specific treatments you receive, the goal is always to give you back the confidence you’ve been missing. Before the cosmetics, there must first be a healthy and strong foundation upon which to build your new smile. Often, your full-mouth reconstruction will begin with services that are restorative. The condition of your gums and the underlying bone structure is particularly important to the success of your full-mouth reconstruction. If your gums are not healthy, then ultimately your new smile won’t be either. In addition to a deep cleaning with scaling and root planing, we also treat periodontal disease with a diode laser. Laser gum treatment is far less invasive and painful than traditional gum surgery. Combining procedures such as porcelain veneers, porcelain crowns, dentures, and dental implants, your full-mouth reconstruction can counteract cracks, missing teeth, and decay. Dr. Olsen will evaluate your smile and provide you with a comprehensive full-mouth reconstruction treatment plan, making sure you fully understand your damaged smile’s needs and how the procedures will help.